While working on Treachery in Beatdown City, a new game in the beat 'em up game genre with a focus on diversity in play styles and culture, we at Nuchallenger needed to analyze and get to the roots of what makes the genre tick. Surprise: It’s very complicated. Beneath the exterior of multiple heroes punching, kicking, and throwing their enemies to beat some big bad boss in the end are complex and nuanced enemy interactions that vary from game to game. Beyond that, the genre has also been a paradigm shifter in games in terms of cultural interpretation, influence and racial/gender diversity. 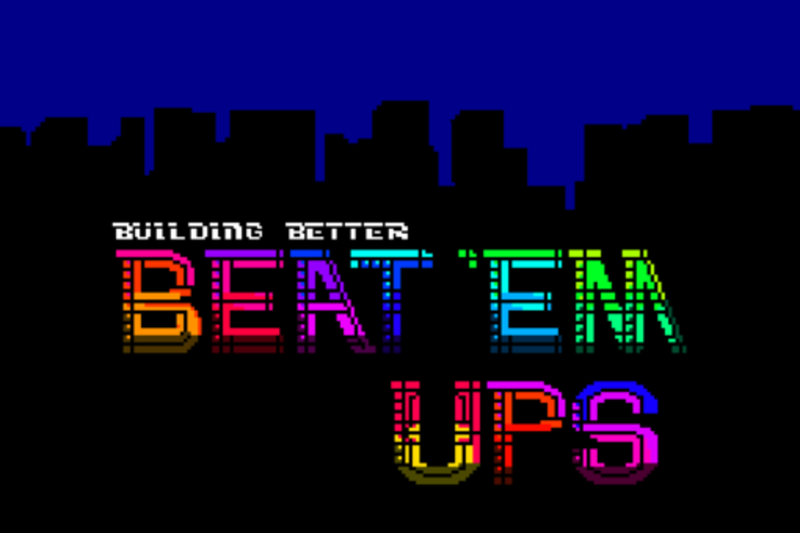 Using a mix of video, images and music from both games and greater pop culture this talk will examine a history of game design and cultural influences of the beat 'em up genre in order to create better games overall. Shawn Alexander Allen is a game designer, artist and writer from New York City. Shawn is currently working on Treachery in Beatdown City, a retro styled tactical beat ‘em up that subverts game genres and incorporates themes from politics, intersectionalism and more while still maintaining and over the top dark comedic narrative. Shawn also recently made a game called Corporate Vandals, a game made for gallery spaces and curated by NYU about sticker bombing & graffiti culture in New York that started a fight involving 2 men and a dog. Previously Shawn worked for almost 5 years in AAA games, the first game he shipped having sold over 25 million copies. Despite that he’s more proud of TiBC and other personal projects.